Catholic Extension honors B.C. president Father Leahy. Published 3/23/2018. Local. BOSTON -- During an inaugural award dinner at the Mandarin Oriental Hotel in Boston, March 20, Catholic Extension honored Boston College president Father William Leahy with the Spirit of Francis Award for his commitment to provide theological education to Catholics from under-resourced mission dioceses. In remarks before presenting Father Leahy with the award, Cardinal Blase Cupich, Archbishop of Chicago and chancellor of the Catholic Extension, said the Boston College president is "curious about others -- he is willing to stretch himself, extend himself in a way that he knows he is not going to lose himself by giving himself." That, said Cardinal Cupich, is really at the heart of what the Chicago-based Catholic Extension is all about. 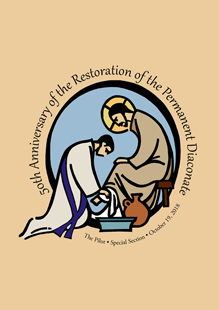 Established in 1905 with the purpose of providing aid to underfunded or isolated mission dioceses in the U.S., today Catholic Extension provides support to some 90 dioceses across the country. Over the almost 113 years of its existence, it has contributed more than $500 million ($1.2 billion in today's dollars) to dioceses, with its aid reaching millions of Catholics. 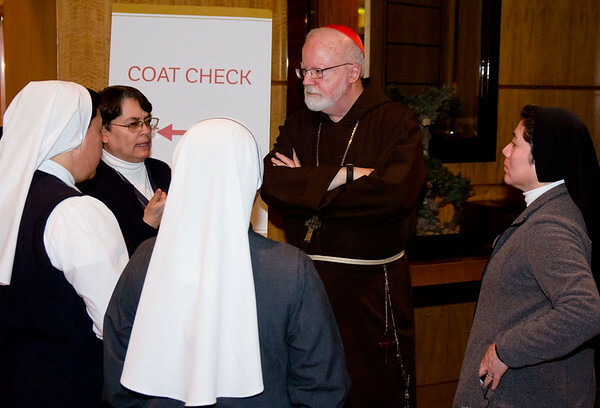 For years, the organization has recognized individuals or groups that have made a difference in their communities and an impact on the mission of the Catholic Church in the U.S. through service or philanthropy. However, the March 20 award dinner marked the first time such an event was held in the Boston area. Boston College, under the leadership of Father Leahy, formed a partnership with Catholic Extension to provide educational opportunities for participants in a number of the organization's programs. Through the Young Adult Leadership Initiative, religious sisters, young adults and lay leaders of mission dioceses have been able to study at the School of Theology and Ministry as well as the Woods College of Advancing Studies. "This evening, we acknowledge in a very special way the partnership between the Boston College and Catholic Extension, and a partnership that has grown and matured and allowed women religious, young adults, lay Catholics to come and develop their talents and then use those talents for the good of others," said Father Leahy upon accepting the award. "Our world very much needs the message of Christianity to be preached and to be lived," he said. "Each of us can carry out that mission of preaching and living the Gospel by the quality of our lives, and how we show our faith in action, how we are people motivated by what has gone on in our lives... the gifts that are shared, the gifts given to us." "We are to be signs of faith, so we can extend the message of Christ and the Church, and that's what Catholic Extension has been doing since 1905," said Father Leahy. Hundreds attended the event, which featured remarks from several prominent Bostonians, including Boston Mayor Marty Walsh, former chair of the B.C. Board of Trustees John Fish, current B.C. Board of Trustees chair Peter Markell, and Cardinal Seán P. O'Malley. Candy O'Terry, former longtime broadcaster on Magic 106.7 and president and co-founder of Boston Women in Media and Entertainment, served as the night's emcee. In remarks before offering an invocation, Cardinal O'Malley praised the "extraordinary work" of Catholic Extension, and congratulated them on their choice to honor Father Leahy. 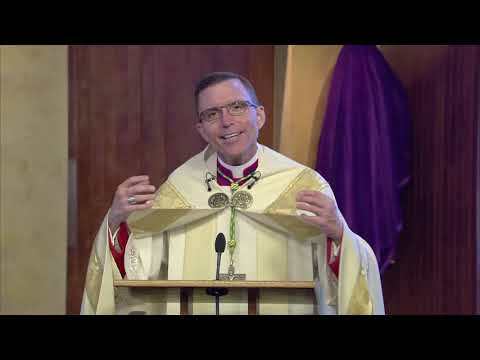 Father Leahy "does such an extraordinary job, not just for BC but for the whole Church community, and we are very proud of him," said the cardinal. Additional speakers at the event included Catholic Extension president Father Jack Wall and Dan Thies, the associate director of campus ministry at Carroll College in Montana as well as the first graduate of the Young Adult Leadership Initiative. Thies received a master's degree in theology from the school in 2012 thanks to the initiative. The evening concluded with a musical performance by 36 sisters from Catholic Extension's U.S.-Latin American Sisters Exchange Program. The sisters had last year gone to B.C. 's Woods College to take part in a week-long course on "Operational Leadership."